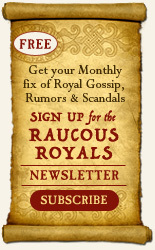 The countdown to reading my first review on The Raucous Royals has started. Some authors don’t care about book reviews. I am not one of those authors. And those authors that say they don’t care…BIG FAT LIARS. How can you work 2+ years on a project and not care about how it is reviewed? Impossible. Books are usually reviewed at least 3 months in advance so somewhere out there in the cruel world of book reviews is a nicely typed paragraph either dashing my hopes or raising them up. I probably won't see the first review until August. tick tock. I really hope that whoever reviews my book hated history as a child as much as I did. I don’t think you can fully understand a 5th graders utter contempt without having been that kid who yawned at the French Revolution, or even worse, that teacher who has to continually stand in front of a class of yawning 7th graders when they rather be playing video games. The Raucous Royals is definitely not a detailed biography of 13 royal figures throughout history. I have lots of book recommendations for kids and adults if you are looking for a deeper study of one of these royals. 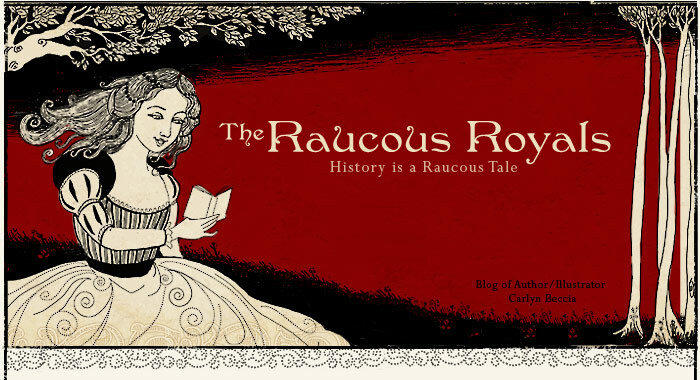 The Raucous Royals is more of a glimpse at some fascinating rulers and the rumors that changed their lives. It jumps from one rumor to the next on a rollercoaster ride of scandals and palace romps, and just like any good rumor, we'll never know the whole story. This may throw off some readers who prefer more detailed coverage in a biography. Fair enough. Other authors do that very well and that is why I have provided a huge book section on this site. “In depth” is not my style, and if you have ever watched a 10 year old channel surf then you will understand my choice not to focus on the minutia of each royal ruler. Back to why I am worried about reviews…. The reviews were not exactly kind to my last book, Who put the B in the Ballyhoo? I was prepared. I took on a tough subject. You can’t sugar coat the real history of circus life. I remember one reviewer said that Ballyhoo, “skirts propriety”. Ouch. If Ballyhoo skirted propriety then The Raucous Royals rips the pants off propriety. The way I look at it, history has not always followed the rules of decorum so I can’t make apologies for leaving the juicy bits in. If someone had left the murders, love scandals, sibling rivalries and countless beheadings in for me, then I would not have discovered my love of history so late in life. I view this book as a gateway drug to history. The age range is 8+ but I am really hoping it appeals more to kids than adults. 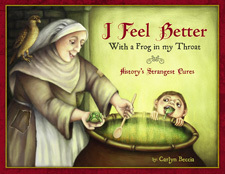 If you have a reluctant history lover….this is the book for that child. Teaching students about Henry VIII’s love life may not teach them how the English Reformation changed the course of history. But it just might peak that child’s interest enough to pick up another book on Henry VIII. And then maybe another book….and then another book. And pretty soon that same reluctant reader is carting around an overstuffed tome as big as their head on the English Reformation. And isn’t that the most important job of a book? To get readers to pick up another. I didn’t really understand this concept until one of my author visits. It was a school visit for Ballyhoo and I was telling the story of Jumbo the elephant. The life of Jumbo is a story any parent, teacher or librarian can be proud to tell their kids. But then there was this incorrigible, freckle faced boy who in the middle of my heartfelt tale screamed, “Didn’t Jumbo get hit by a train?” I was frozen. I had about 50 young eyes on me looking to hear the truth. I never tell this part of the story. What was I to do? I could hear every parents’ scorn in the back of my head, “you told my child that Jumbo was hit by a train!....You gave my child nightmares!” So I breathed in deeply and said, “Yes, Jumbo was hit by a train. But his body still toured with the circus so his spirit never died.” All true. And what is that saying about the truth…something about it setting you free? Hmmm. It didn’t exactly work that way. A million questions about the gory details of Jumbo’s death followed my very truthful answer. 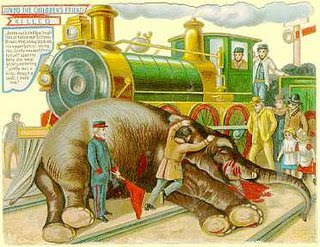 The story of how Jumbo died is probably the only thing those kids remembered that day. Kids want the truth. Sadly, authors who write textbooks are often forced to give a water downed version of it. It’s almost as if we don’t want our children to ask questions. Other books can fill in the gaps. And every parent has a choice. If you feel a book is not appropriate for your child’s age level, don’t buy it. If you are a librarian and are uncomfortable with some of history’s more scandalous eras, than don’t recommend the book. After my school visit, a bunch of kids stormed the library. Not to read my book…. but to find books on Jumbo. Maybe the truth can set readers free. I can't wait for this to come out. I remember all too well detesting history so I can only imagine this will be a fabulous book that will fit a need as well as entertain. I would love to do and informal spotlight your book interview to spread the word of your book on our blog if you are interested. I would love to do an informal spotlight of your book and interview when the book debuts, if you're interested. I would love that! Let me know when you can squeeze me in. I have given you the Excellent Blog Award. You may find details on my site.